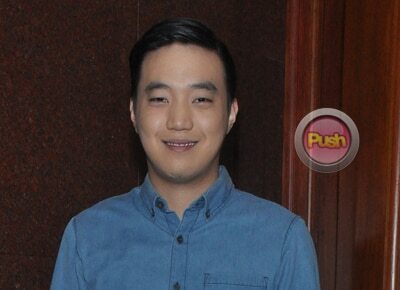 Ryan Bang says he wants Vice Ganda to find someone of the same age. Months after Vice Ganda vehemently denied that basketball player Terrence Romeo was his the boyfriend with whom he recently parted ways with, comedian Ryan Bang expressed his disapproval of the PBA Draft player. But if it were up to the Korean star, “Mas gusto ko ‘yung mas matanda, mas ka-age ni Mommy.” The phenomenal star is 38-years old while the young cager is only 22-years old. While the Gandang Gabi Vice host has yet to reveal if he has found someone new, news of him reconciling with the Global Port Batang Pier player surfaced recently. Ryan could not confirm if this rumor was even true. Ryan said he hopes that the person whom his Mommy would fall in love with next would give him nothing short of a true love. “Gusto kong malaman kung totoo ang pagmamahal niya kay Mommy. ‘Pag sigurado ako na totoo ang pagmamahal niya kay Mommy susuporta ako,” he said. Two months ago, the former Far Eastern University Tamaraw basketball player denied being in a relationship with Vice, with him even directly asking the comedian’s fans to stop spreading the rumors as it’s already affecting his image.